The Wedding day was perfection. You can see it in the images, these two were just buzzing. "There are no words - you guys rock! You helped to make our wedding truly perfect and we are forever grateful." If we’re talking highlight of the day, Jen & Adam have no hesitation to say that running under an archway of sparklers together was it - pure magic. 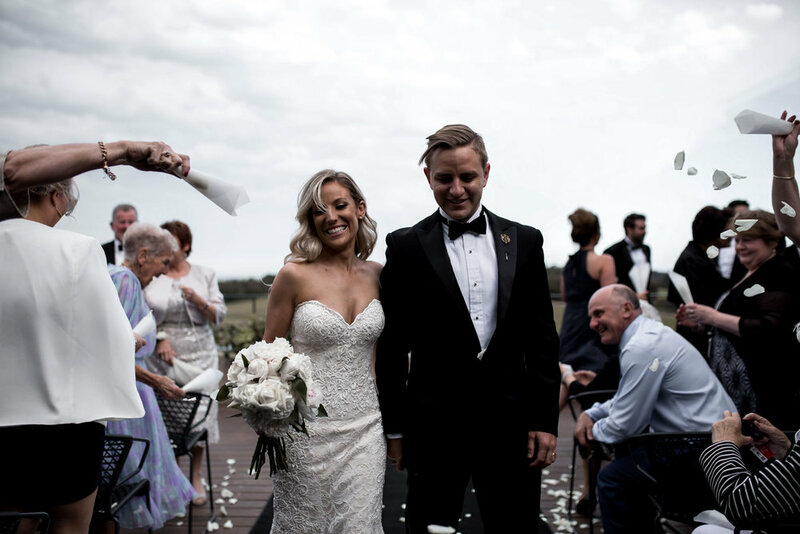 Not dissimilar to the moment Jen & Adam met eyes at work, when it came to their wedding venue, it was love at first sight. Driving past Port Philip Estate after lunch in Red Hill they were captivated by the impressive size, architecture and phenomenal sandstone façade. From the moment the door to the Estate opened they knew they would be married there.